RhinoFit is a feature packed and easy-to-use gym management software designed for all types of gyms. The versatile RhinoFit platform is available on all of your internet based devices and provides many business management tools you need to run your operations smoothly and efficiently- saving you time and money. 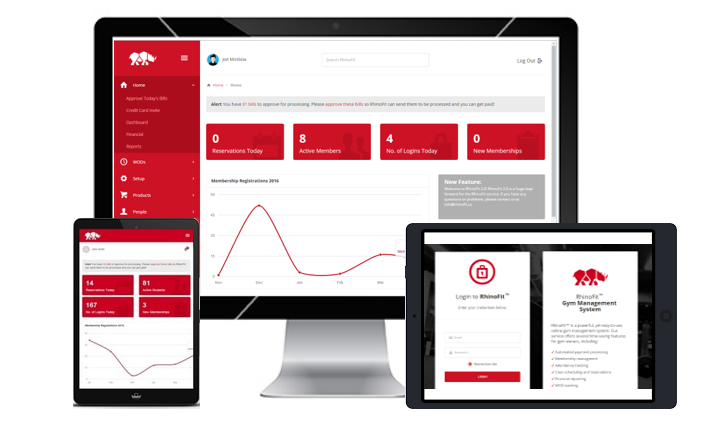 We crafted our software to fit a range of your business needs and as a commitment to you, we use your feedback to introduce and adjust features to create the best gym management software. All gyms are different, that’s why we make RhinoFit available on all internet based devices. 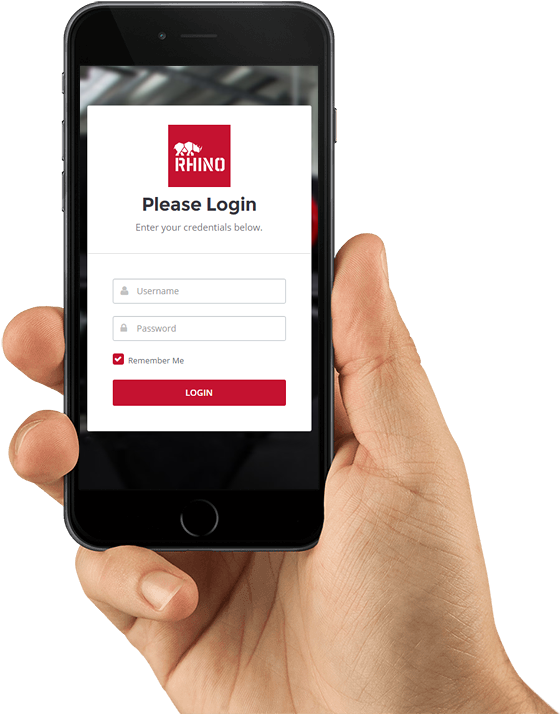 Whether you are on the go and need to check bookings or accept payments from your cell phone, want to use a tablet for the check-in kiosk feature, or want to use a laptop at the front desk to sell products and memberships- the RhinoFit software keeps the momentum going. By opening your gym around the clock with RhinoFit’s 24 hour access system, your gym can increase attendance, memberships, and retention. The 24/7 hour add-on feature opens turnstiles or doors once a validated and up-to date membership is scanned. Our system is available in the USA and Canada. RhinoFit supports users in over 190 different countries including the United States, Canada, United Kingdom, Australia, and New Zealand. As a gym owner we know the importance of a management system that works. Life is much easier when you don’t have to worry about payments going through, scheduling, inventory, or paying/keeping track of bills. With Rhino Fit we are able to focus on what matters, our clients and training. We have been using RhinoFit for over a year now and have been extremely pleased with the product and service that we receive. We feel like we have another partner or team member with Travis and Adam. They are responsive to any issues and go above and beyond to help us, 7-days a week. They continue to better their product each and every month, which makes us sure that we went with the right choice for our membership software.